To discuss upcoming events in February, the University Programming Board held its bi-monthly meeting on Jan. 30. 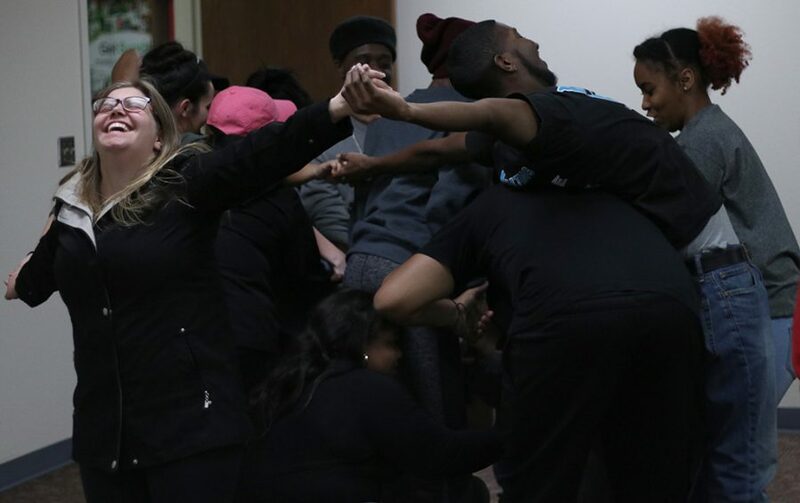 From hosting a Super Bowl party with the Residence Hall Association, to screening critically acclaimed film “Get Out” with the Office of Equity, Inclusion, and Multicultural Affairs, the organization has a lot of events in store for the student body. This meeting also introduced an interactive, presentation software for meeting attendees called Mentimeter. This was also UPB member Preston Busby’s, criminal justice senior, favorite part of the meeting. “[UPB chairs] get to know our feedback as they present, so it’s much quicker,” Busby said. Busby said he is looking forward to the Mardi Gras/Valentines Day party on Feb. 14 and the Black History Month game show on Feb. 26. Students also have the opportunity to win cash prices at the Black History Month game show. 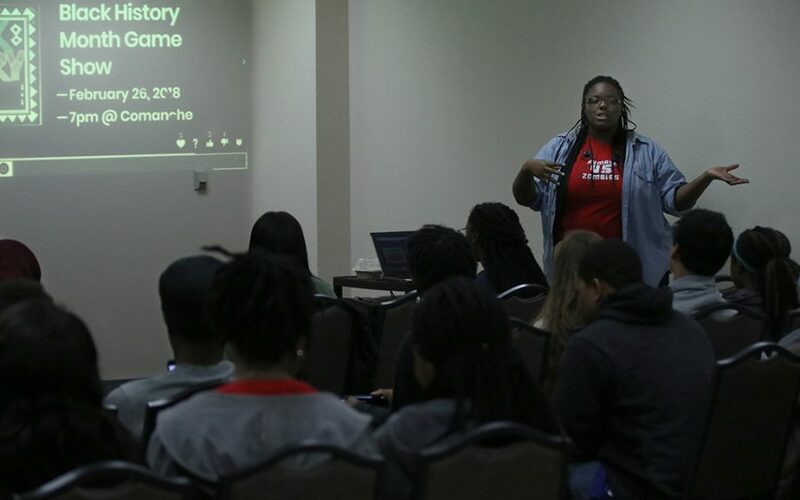 “[Cash prizes are] always a plus for any college student and it never hurts to know more about black history,” Busby said. Angelica Symonette, low budget/no budget chair and exercise physiology senior, and Hannah King, marketing chair and psychology senior, said they are also looking forward to the Black History Month game show. Symonette said the event would be really cool and enjoyed the turnout of the meeting. “It’s really good because the semester just started again, and we have a lot of new people interested in joining UPB,” Symonette said. Symonette, who has been a member of UPB for two and a half years and became low budget/no budget chair last year. “I thought it was a really cool experience and [they presented] ideas that I wanted to do. 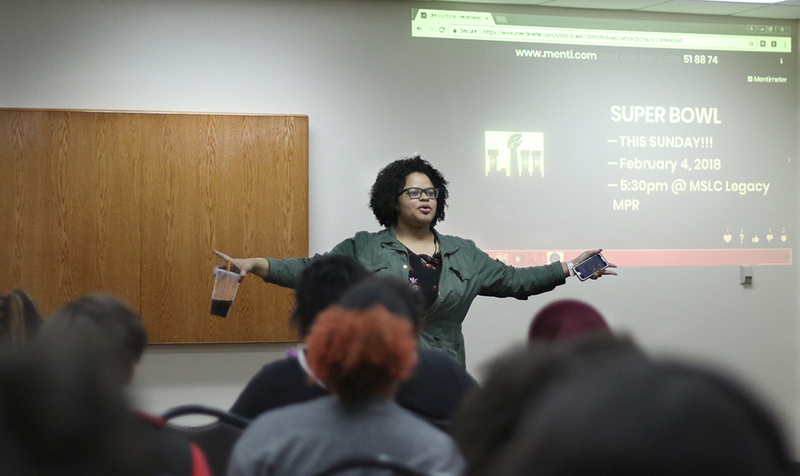 And I was like, “Okay, I can do this like just put my ideas out there and have school spirit,'” Symonette said. “I’m really excited for the Black History Month game show because that would be really cool.